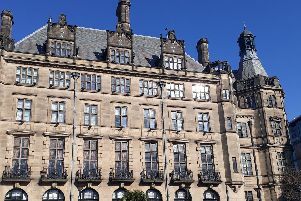 With the World Snooker Championship just a fortnight away and Sheffield set to host two international sporting competitions in the space of just a few months, is Sheffield the city of sport? With Sheffield United on the brink of automatic promotion to the Premier League, Sheffield Wednesday battling for the playoffs, Sheffield Eagles flying high in the Rugby League Championship, Sheffield Hatters winning the WBBL cup final, Sheffield Sharks swimming strongly into the BBL play-off places and Sheffield United Women are set to be the only women’s football club in the country with its own stadium, who can question Sheffield’s right to be the City of Sport, bestowed on it by the Government in 1995. Sheffield is recognised nationally and internationally for its sporting achievements and famous athletes who grace the playing fields of the world, together with delivering the legacy projects that came out of the London 2012 Olympics including the National Centre for Sport and Exercise Medicine (NCSEM). NCSEM Sheffield has three centres across the city – Concord, Graves and Thorncliffe – which are being watched with great interest by many in the health sector because of the remarkable impact they are having on thousands of people. Around 80,000 clinical appointments are provided each year, changing delivery of NHS care and improving patient experience. NCSEM Sheffield has an agreed vision under the Move More banner to create a culture of physical activity to make Sheffield the most active city in the UK by 2020. The NCSEM complements the English Institute of Sport Sheffield (EISS), which turned out many medal-winning athletes for London 2012 and Rio 2016, showing Sheffield’s strength in delivering success for Team GB. More than 120 elite sportsmen and women are currently training at EISS for Tokyo 2020. The EISS is also used by thousands of schoolchildren and the general public and is a fantastic community asset. Athletes and sports clubs use the facilities in the evening and at weekends, in preparation to become the next generation of Olympians. It’s a real pleasure to watch such talent working so hard. Sheffield, building on the success of the EISS, the impact of the NCSEM and now, the ever expanding Sheffield Olympic Legacy Park with its world-class research facilities, education and new skills, is clearly justified in being recognised as the City of Sport. Sheffield’s relationship with sport is long and proud. From writing the beautiful game’s first official rules to being home to the oldest fell running race and some of the best names in sport. In recognition for Sheffield’s sporting prowess, we were named the UK’s first National City of Sport in 1995 and we continue to attract attention on the sporting stage among major governing bodies. During the 2012 London Olympic Games, 101 athletes trained, were from or lived in Sheffield, 16 of them won medals, including five golds. Following the games, Sheffield was one of only three cities to be awarded Olympic Legacy funding, with which we’ve established the National Centre for Sport and Exercise Medicine and are in the process of building the world’s first Health and Wellbeing Research Centre as part of the multi-million pound Olympic Legacy Park. Sheffield is the home of football, fact. We wrote the first official rules of the game, are home to the oldest football club in the world (Sheffield FC), the oldest football ground in the world and one of the oldest professional football stadiums in the world. The FA has shown its confidence in the city through a national pilot, investing millions to create grassroots football hubs across Sheffield, ensuring the game continues to thrive in its home city. Since opening in 2017, the hubs have clocked up more than 500,000 visits. With a total of 737 football teams in Sheffield, the sport is only getting stronger and with a focus on disability and girls’ football we are seeing it grow significantly in these areas. As the UK’s Outdoor City, our outdoors sports credentials are unrivalled. 65 per cent of people in Sheffield participate in outdoor pursuits, our number of mountain bikers is double the national average and with 26 running clubs we’ve racked up 5,000 club members and 14,000 park runners. Over the last three years Sheffield has successfully invested £39.8 million in major new sports facilities through pioneering partnerships between the Council and Sport England, sports governing bodies and the Department of Health. As well as football this includes investment in cycling, cricket, tennis, basketball, running, swimming and disability sport, as well as brand new, state-of-the-art leisure facilities at three sites, which has resulted in significant increases in participation across all fields. A love for sport is instilled in Sheffield and its people, it’s in our DNA, and it’s constantly growing as we continue to invest in sport for everyone in the city. You only have to look at Sheffield’s events calendar to appreciate how much sport takes place here every year. And we’re talking world class major events, not just our local programme. Since the World Student Games in 1991 Sheffield has hosted more than 1,000 sporting events, including 40 world championships, 35 European, 380 international, 470 national and 190 city/regional events. Highlights include the World Masters Swimming Championships, European Football Championships, European Figure Skating Championships, Sports Personality of the Year, UK School Games, Tour de France Grand Depart, Special Olympic National Summer Games and, of course, the annual World Snooker Championship. This summer we will host the first Invictus Games Team UK Trials, and in 2021 games in both the UEFA Women’s European Football Championships and the Rugby Football League World Cup. It’s no mystery why high- profile sporting bodies, such as World Snooker, The FA, The RFL, The Olympics, Sport England, British Cycling, BMC and many more, choose to come to Sheffield and keep coming back. Our offer of top-class facilities, quality outdoor spaces, accommodation, leisure and entertainment, plus our ability to deliver at the highest level, is hard to beat. And it’s not just the professional sporting events that prove Sheffield’s City of Sport status. As the third most active core city, every year thousands of people take part in our local events such as the half marathon, Sheffield 10K and City Ride family bike race. If you’re looking for the UK’s city of Sport, then look no further than Sheffield. Sheffield’s sporting heritage may be built on a rich history, yet its present and future also tell a story of its success. The world’s first football club – Sheffield FC – was formed here; the world’s oldest football ground, Sandygate Road, remains open. Sheffield Hatters remain the UK’s most successful women’s basketball club, with Sheffield Sharks not far behind in the men’s game. Sheffield Steelers are traditionally among the elite of British ice hockey – the amount and variety of sporting achievers goes on. In recent times, the city’s influence at London 2012 – and the legacy it has delivered since – has been well-documented. Were it a country in its own right, The English Institute of Sport Sheffield (EISS) would have finished 19th in the 2012 London Olympics medals table – one place behind Jamaica. It’d have come 21st at Rio 2016. However, it is away from the sporting arena that the city is also making a name for itself. The EISS is becoming a hub for national governing bodies. GB Wheelchair Basketball and GB Boxing are two core tenants with British Ice Skating having recently moved in. The EISS is very much a window into the city’s success. One look at the names emblazoned upon the Hall of Fame at the venue tells a story in itself – Jessica Ennis-Hill, alongside world heavyweight boxing champion Anthony Joshua, Paralympic Table Tennis champion Will Bayley, and Nicola Adams, winner of the first-ever Olympic gold medal in women’s boxing. More recently you have the likes of PJ Hallam – born in Wincobank, part of iceSheffield’s Skate UK programme for 15 years and Britain’s sole individual male competitor at the recent World Figure Skating Championships in Japan. Sheffield United’s Billy Sharp became the highest English league goalscorer this century earlier this year. Just this year, Sheffield will once again host the World Snooker Championships – an event hosted by the Crucible since 1977 – with the UK Invictus Games Trials following soon after. Events, success and an audience all point to economic impact, too – with the city continuing to thrive on the back of incredible sporting prowess.